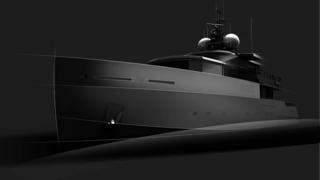 Tansu Yachts has received a new order for a 39 metre Cuda Class superyacht. The Cuda Class platform was previously seen on World Superyacht Award-winning So’Mar. The new yacht will be similar to So’Mar but with some differences: she will be longer, with a raised pilot house design. “Based on our well received and recognised Cuda platform, the new 39m is the latest project in our continuous quest for honest and simple design,” Riza Tansu said. The exterior and interior styling is done by Tansu, with naval architecture and engineering completed by Diana Yacht Design. Her owner is a film producer and a regular at Cannes Film Festival. Riza Tansu told us that the new Cuda Class yacht will be built in material wood composite and will be powered by two Caterpillar C18 engines and two Northern lights 55kWa generators. She’ll also feature CMC electric stabilisers. This new order for Tansu Yachts brings the number of superyachts under construction at the Turkish yard to five.